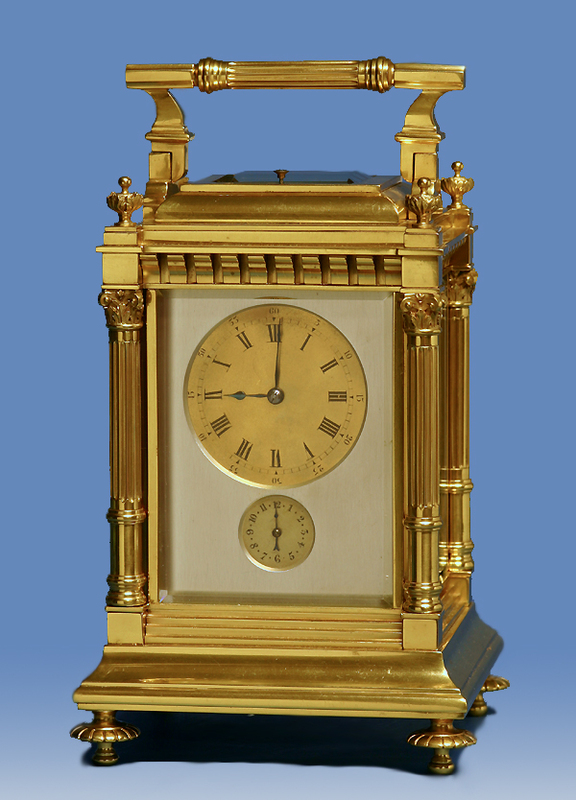 c.1875 French Giant Gilt-Bronze Westminster Carriage Clock. 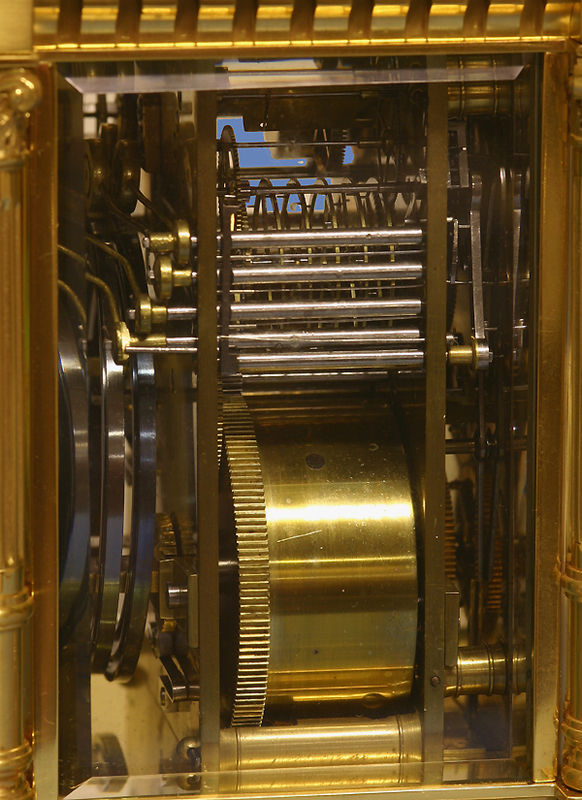 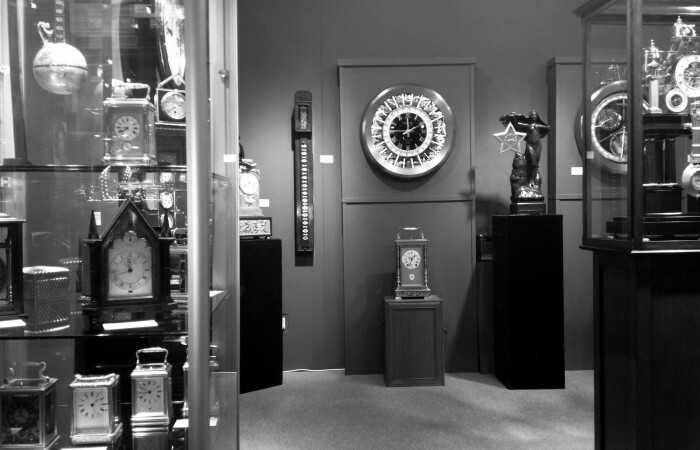 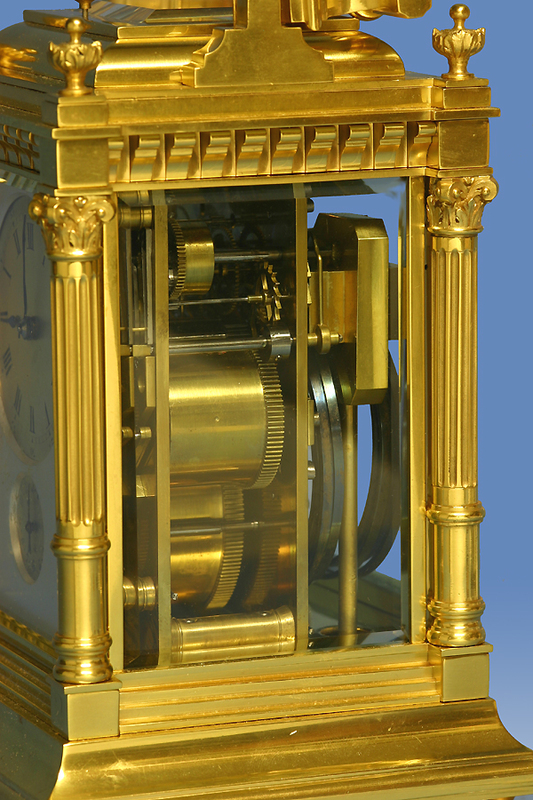 A very rare French gilt-bronze late nineteenth-century giant four-gong carriage clock. 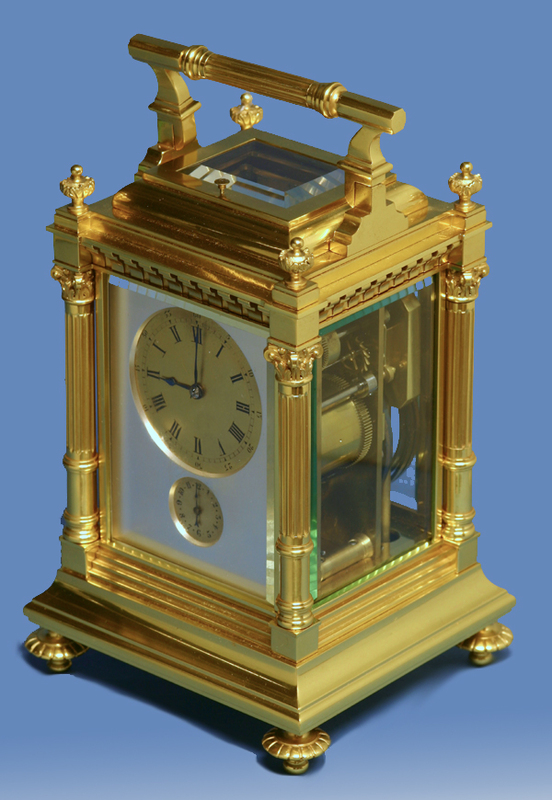 The massive case is a variation of the Anglaise Riche style and has a flared and stepped base, dentil work, a fluted hinged handle, detached fluted columns with Corinthian capitals, well-cast finials, five beveled glasses including the viewing glass for the balance and four bold toupie feet.